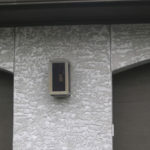 There are several common stucco textures available to decorate the exterior of your home. Each finish offers a dramatically different look and feel. Many of these offer a South West look and others, like knock-down, are more contemporary. On this page we are going to discuss your options. Photographs will give you a visual understanding. All stucco work is labor intensive and messy. 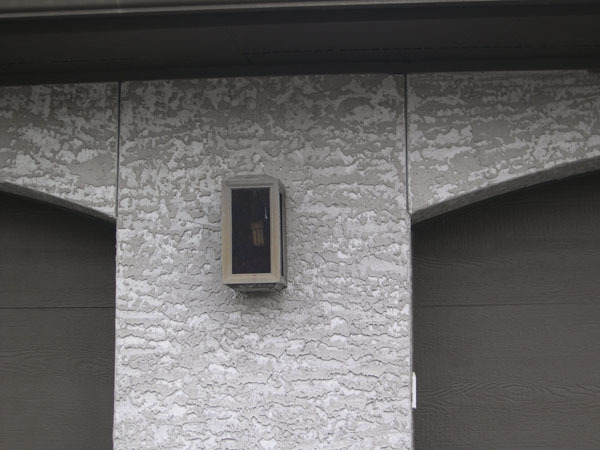 Two coats of stucco are applied before the final finish you select. Adequate dry time between each coat is needed. And unfortunately, just about as much falls on the ground as is applied to the wall. Tarps and a thorough cleaning is a must every day. 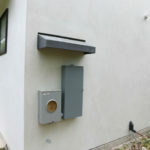 We will discuss the fallowing stucco finishes. These are the most common texture patterns. 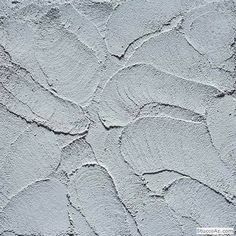 Most people associate a stucco texture with knockdown. A lace texture is a variant of knockdown. Both patterns offer a high degree of cover for imperfections on a wall. Their "busy" look hides and takes attention away from dips and indentations. 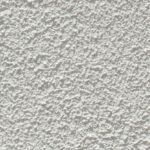 Like other stucco textures, knockdown or lace is the third and final coat. Scratch and brown coat are applied first. Application is most often by hand with a trowel. Sometimes applied with spray equipment and flattened down with a trowel. Work is slow as the trowel is only about 12 inches long. It won’t hold a lot of mud. Experienced applicators can speed the process up by using a "slick" instead of a trowel. Slicks are basically a long trowel without a handle. Two hands are used instead of one. A basic pattern popular in commercial application. It goes on quicker than other textures and therefor less expensive. Usually applied in one coat with a trowel. Then evened out with a float. 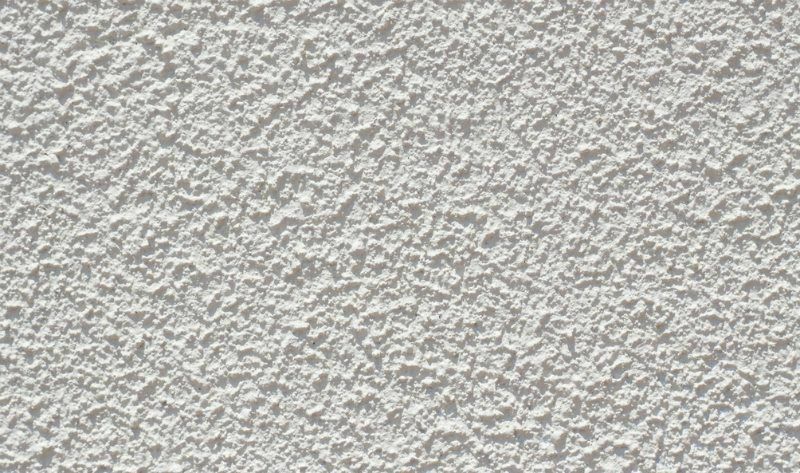 The topcoat can be fine, medium or coarse depending on the size of sand used. If wiped down with a red sponge more small sand will appear. A green sponge produces larger sand to the surface. Versatile, easy and fast to install. Easy to repair as long as the color and be matched. The edge of a patch is neatly feathered in to the surrounding material. By far the most difficult to get right, but in high demand right now. It takes a lot of time to wipe it down and make it look perfect. The guys have to go over it again and again with a pool trowel and sponge. Color can be consistent if oxide is added to the mix. A mottled look can be achieved if the color is added after it dries. When finished its easy to maintain and clean. But it is hard to patch and blend in. It dries hard and tends to crack more than other finishes. Similar to a smooth finish. This one makes a building look like an old adobe style. Made possible by skipping some steps on smoothing it out. It comes out more uneven and rustic. Just like the antique adobe South Western Towns. While skipping steps might make this be a less expensive finish. It's actually harder to achieve than a smooth finish. There is no luxury of having the sponge wipe away any imperfections. Because of the uniform look of this finished it is hard to patch. 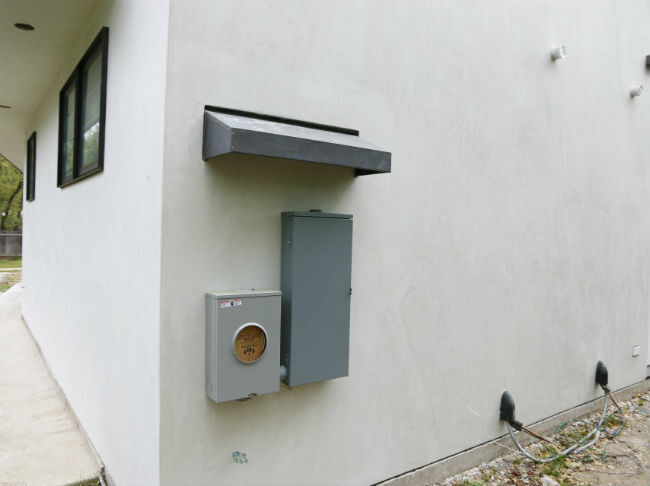 This is the easiest and most fun to install. The guys sling mud on the wall and push it in a uniform pattern. There is no fuss or muss or worry about feathering it in. Its pretty much just blow and go. A crew is one man mixing and the other flinging. Repairs are easier than smooth but harder than knockdown.